Do you want to sample the technique done with a Gelli Plate but do not have the room or the budget for one more piece of equipment? Why not try this “faux” Gelli Plate technique done with your craft mat? Simple, fun and amazing results are in store for you. Achieve this chic faux gelli technique here! 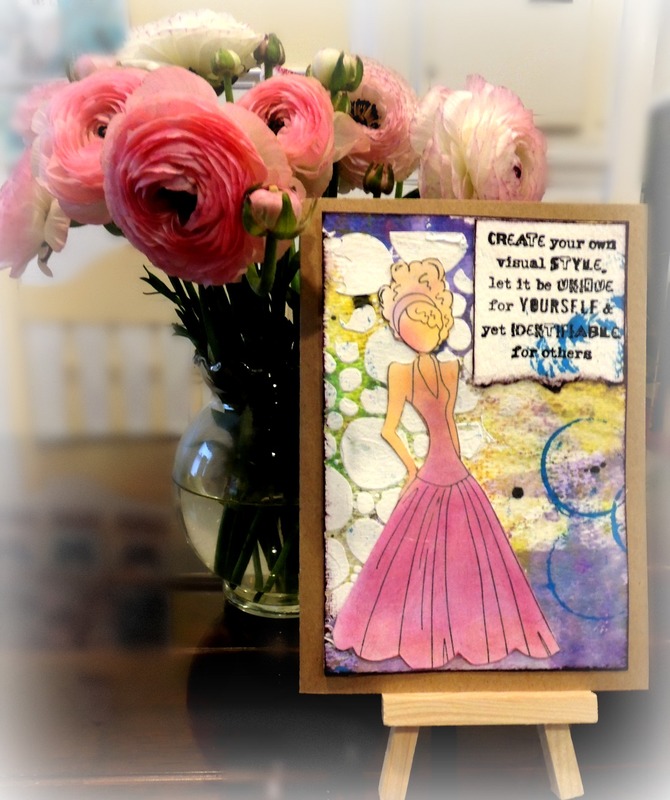 This entry was posted in Cards, Renee Zarate and tagged 2016 ARTIST IN RESIDENCE, Cards, Mixed Media, Radiant Neon, Renee Zarate, StazOn Studio Glaze. Bookmark the permalink. Pretty card and a great idea I love my blue craft mat because it does so many things and saves me from having to buy extra tools! TFS!